Take the Principal Revenue Opportunity Calculator challenge and discover the missing puzzle in your revenues, better yet discover a new Profit Center! See the benefits of integrating Disability, Life and Long Term Care insurance solutions – improved client retention, increased revenue and profit. The Brokers Central team specializes in helping our P&C agency clients cross-sell effectively and efficiently in the Disability, Life and Long Term Care Insurance arena. 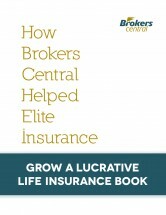 Learn more by downloading our Cross Selling Game Plan or our case study on How Brokers Central Helped Elite Insurance to see how we can help your agency grow a lucrative life insurance book. With our team by your side, you have everything you need to grow your practice without adding to your staff. You decide how much and what kind of support you need, and we deliver. 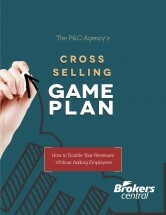 Marketing Support: Ask about our cross-selling sales prospecting toolbox. Access to Leading Carriers: Offer a broader suite of product options. Case Illustrations: Need product and pricing options? Creative Ideas: Get case design suggestions to suit your clients’ needs. Difficult Cases: Succeed with our problem solving and underwriting advocacy. Co-Selling: Want us to join you in client meetings? No problem! We will represent you well. Client education: Ask us to speak at client seminars on important topics such as business succession. Back office support: Get assistance with quoting, underwriting and issuing, so nothing slips through the cracks. Click on the buttons to the right for easy access to Quotes, Forms, Product Information and Incentives.